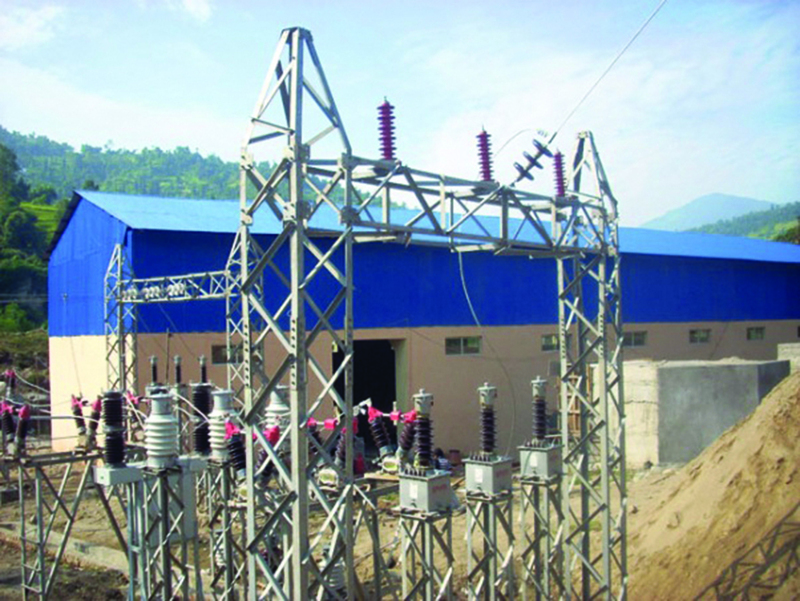 For the last couple of years, things are moving toward positive direction in Nepal’s power sector. 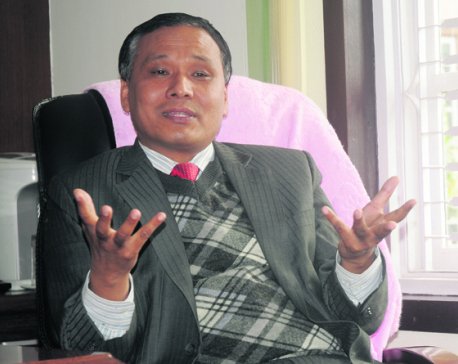 As per the government’s 2018 plans and programs, emphasis will be given to the development and expansion of hydroelectricity and all types of renewable energy to provide clean energy to all Nepali households within next three years and to avail electricity to all households as per the demand within the next five years. The government has announced to implement hydro and other energy-related projects with priority and celebrate 2018 -2028 as ‘energy decade.’ Ministry of Energy, Water Resources and Irrigation (MOEWRI) came out with the white paper in February 2018 focusing on power supply and electrification in the residential sector with the slogans ‘one house, one energy house’ and ‘one house, one electric cooking stove’. But this might remain just the slogans if concrete steps are not taken to implement them. As per Nepal Electricity Authority’s annual report, the expected power addition will be around 2,000 MW combined with NEA and Independent Power Producers (IPPs) within two to three years. This means, there will be surplus of power in wet season. But on demand side, things are moving very slowly. 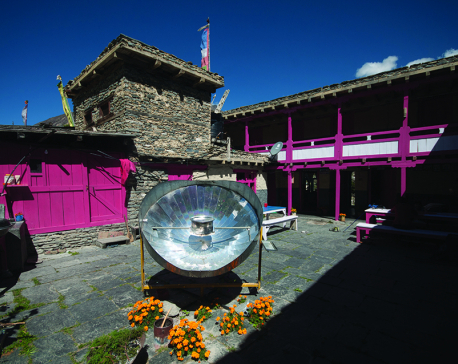 For the last couple of years, due to enhanced technology innovation, thermal efficiency of electric cooking stoves such as induction cooktops has improved tremendously to even more than 80 percent, whereas LPG cooking stoves remain at around 50 to 60 percent and traditional firewood cooking stoves stand around 10 percent. Furthermore, due to this efficiency measure and increase in domestic prices of other fuels, cooking on electricity has become the most economically efficient. Yet, 80 percent of domestic consumers are deprived of cooking on electricity as they have five ampere connections which are not suitable for cooking on electricity as the induction cooktops have more than one KW power capacity and their meters get tripped off if they cook on these stoves. NEA should first focus on developing domestic markets rather than seeking opportunities outside the country for power sales. NEA has to get strongly involved in marketing activities in order to create awareness among customers and convince them to switch to high ampere connection because it is beneficial to customers as well as to NEA. NEA should revamp its current distribution system such as conductors and transformers. The current distribution systems are meant for lighting and low power purposes. We hear a lot about transformers burn these days. Since there is no power outage, people will try to use household electric appliances more than before and if distribution capacity is not enhanced the results will be frequent burnt-outs of transformers and distribution lines. NEA has unveiled its plan of introducing smart meters and smart transmission lines, digitization of its network, optimization of its operations, and use of Enterprise Resource Planning (ERP). But it does not seem to have considered load forecast of 2030, which is lower than domestic consumption plan of 10,000 MW. It is encouraging that NEA’s performance is improving and its profits rising. Increase in sales due to reduction in load-shedding and power losses has made it possible. Thus rather than focusing on sales in the regional markets, NEA should concentrate its efforts on selling to domestic sectors like industries, services and transport. During my recent visit to Duhabi industrial area of Biratnagar I found that one steel industry has switched to electric induction furnace replacing conventional fossil fuels- based furnace. We can imagine the requirements of power if all the steel and cement industries switch to electrification when the power supply becomes reliable and resilient. This is why NEA must put priority on creating domestic demand, making its distribution and transmission lines reliable and resilient. Of course, we need to keep the option of regional trade of surplus power open, but only after meeting its domestic demand. Nepal will need around 2,000 MW of power by 2035 to substitute Liquefied Petroleum Gas (LPG) in the domestic markets. And it does not cover the enhanced use of electric appliances in household sector for water heating, space heating and other end-uses if supply does not become reliable and resilient. Similarly, services sector such as hotels and restaurants consume almost 50 percent of total LPG consumption in the country. We can imagine the increase in power required to substitute LPG in these sectors. Furthermore, Sajha Yatayat and other transport entrepreneurs are bringing in even large electric buses to cater to the city dwellers’ mobility. The NEA’s load forecast does not count these issues and increases in demand as its forecasting model is based on historical data and does not take into consideration the use of new energy-efficient technologies in end-use services and switching to electricity from fossil fuels in the household, industries, commercial services and transport sectors. Given all these business opportunities, NEA should take the following steps in order to develop domestic electricity markets. First, NEA needs to revamp its distribution systems because current distribution systems are meant for lighting and use of small electric appliances at the household sector. If the household starts using electricity for cooking and using high- powered electric appliances such as washing machines, water heaters and micro-wave ovens since load-shedding has virtually stopped, the current distribution systems cannot support this. Thus NEA has to immediately start switching the current five A connections in the domestic consumer segment to 15 A, or higher, without additional charges to consumers. NEA has to get into marketing activities such as advertisements in the visual media for creating awareness among consumers to switch to cooking on electricity rather than on imported fossil fuels. It has become cheaper to cook on electricity. These marketing activities will benefit both consumers and NEA. Consumers will be saving their energy expenses and NEA’s domestic sales and financial performance will rise. Second, it must start digitization of its network by using smart meters, net metering and smart distribution and transmission systems. Industries, services and transport sectors will be using electric equipment such as induction furnaces, electric boilers, electric cooking appliances, and electric vehicles as they are economically efficient and produce less emission. Power supply needs to be reliable and resilient. If NEA starts solar net metering, almost 50 percent of the grid load in the domestic consumers can be reduced as consumers will be using solar rooftop PVs for generating electricity themselves for low powered household electric appliances and lighting. Surplus power to grid can be tapped by neighboring consumers. International Renewable Energy Agency (IRENA) has predicted that rooftop solar PV power with battery can become competitive with hydropower by 2025. The extra grid load, thus generated, can be supplied to higher end consumer—such as hotels, restaurants, industries and transport. Third, after completing digitization activity, NEA can have time of the day tariff systems for even domestic consumers and services sector. It will then reduce the peak load during evening and morning periods and grid load will be smoothened out in the long run. Fourth, NEA can consider supply of power in the regional markets once it has met the internal demand with reliable and resilient supply. These recommendations, some of which are mentioned in NEA’s annual report, should be implemented on priority basis for sustainable energy development and energy security in Nepal. Nepal can substitute almost 50 percent of imports of petroleum products and coal, if the government, together with NEA, accords priority to development of hydropower and other renewable energy. All hopes might fizzle out in lack of timely implementation.